Bellagio Fountains of Las Vegas, Trevi Fountain of Italy, Moonlight Rainbow Fountain of South Korea, and Wealth Fountain of Singapore… those are just some of the famous fountains all over the world that amuse us every time we see this superb architecture. However, if you are the type of person that finds being near water seems soothing and magical because of the running water you hear and the relaxation it does to our nerve, why not try to bring it into home? I mean, with the technological advances of today, everything seems possible. The scenario is not something like the water will boost up from your ground to your roof top and will be like a boomerang that will clutter on your floor and will have house flood, because what I am referring to is the wall water fountain. Wall fountains are electricity-powered and are mostly made up of stones, fiber glass, and concrete. Unlike man-made outdoor fountains that goes up for the show, wall fountain is inspired by nature fountains that water drips down. The wall fountain water cascades down on a flat surface that is sending us a tranquil environment. From the page of Soothing Wall, it gives me a suggestion of my ideal wall water fountain. The floor of our house is marble, most of our furniture are made up of wood, and our kitchen will be replaced sooner into stainless steel that considers me of choosing Inspiration Falls wall fountains. Perfect for our house! Morever, I also check the features like watts of halogen lights, dimmer switch, change of fountain sizes, the installment of the fountain, the circulating pump, and I prefer more the vertical/portrait type. Horizontal type is just like picture frames in my view and I find the portrait more stunning. Choosing wall water fountain has all its consideration, make sure what you choose is not off to your office or to your house. How about you, what is your ideal wall water fountain? Hollywood announced that 2013 will be a year for sequels because the 2012 original films were quite bombed that gave them a costly lesson for producing original films. People are more engaged with the story lines that they already know thus concluding Hollywood that sequel movies are money makers. And now, could you believe that this summer, there are four sequels that we must watch! It is so wonderful to celebrate summer with our family having picnic, swimming, excursion and other fun bonding activities. Let me share some lists of private pools in Metro Manila that are good to consider for family swimming bonding. 1. Puesto del Sol, Calatagan, Batangas. 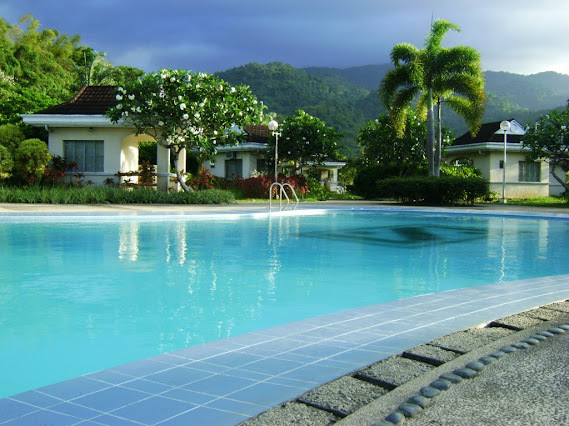 Be peaceful near Calatagan Hills through checking in at the exclusive resort of Puerto del Sol. 2. Los Balcones, Nasugbu Batangas. Jetskiing, diving, kayaking, snorkeling, guitar and keyboard playing… those are just some of the activities that Los Balcones can offer. It is located at Tali Beach, the closest clean water beach destination at the south of Manila. 3. Blue Coral Beach Resort, Laiya Batangas. Let your eyes be filled with the sight of coconut trees at Blue Coral as the resort let you have the feel of escaping from the urban life to the island ambience! 4. Matabungkay Beach Resort, Lian Batangas. 2 hours away from Alabang, have a relaxing experience at Matabungkay. Matabungkay is not a private resort, however, because it is a hotel vicinity that makes people feel like having a private experience – luxurious yet affordable! Deluxe Room P3,500. Air-conditioned room with cable TV, mini bar, private veranda and maximum of 3 persons. Deluxe Suite P 5,600. Air-conditioned room with cable TV, mini bar, lounge, hot and cold shower, IDD/NDD phone and maximum of 3 persons. Family P4,700. One bedroom suite with queen size bed, cable TV, mini bar, living room, private veranda, hot and cold shower, and maximum of 4 persons. Superior Family P5,900. Two bedroom suite with queen size bed, cable TV, mini bar, living room, private veranda, hot and cold shower, and maximum of 6 persons. Beachside Villa P4,800. Air-conditioned room with attic bedroom with queen size bed, spacious, living room and veranda, maximum of 6 persons. 5. Property Rental, Cuenca Batangas.Renting a one whole place are common for barkada trips who want to enjoy the one night stay where they can get wild! For only P3,985, the 25 pax can be accomodated. Near beach, airconditioned rooms, 24/7 electric power! Laguna is the place where our national hero, Jose Rizal, was born. However, Laguna is also famous for Pagsanjan Falls, Mount Makiling and hot springs resorts which means that Laguna has too much place to visit and that even private pools are conquered by this province. Here are some of the choices of private pools in Laguna with rates and contact numbers as of 2/22/13. Note: For more details and inquiries, Please contact them. Those are just the words where you can simply say to the one you love. However, sometimes, words is not enough to show how special the person is. Treating your loved one to a dinner cruise, watching fireworks together, or simply watching a movie are the things that can be done during Valentines. So, let’s check it out what are the Valentines movie we got here!